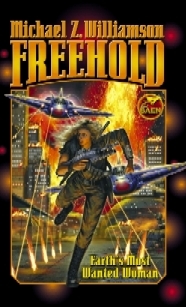 Due to the publishing schedule, Freehold was originally released only in paperback. Over the years many of you have asked about a hardcover edition. There never was, until now. Here it is, the 10th anniversary hardcover release of Freehold, in a signed special edition.